Dilaudid is a brand name version of the opioid painkiller, hydromorphone, a schedule II drug. Doctors prescribe it for the management of moderate to severe pain. It is available in several different forms, including injectable ampules, multi-dose vials, tablets, and suppositories. 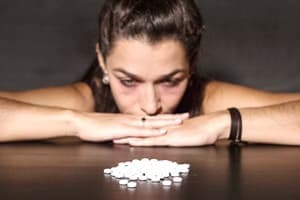 Like other schedule II opioids, Dilaudid has a high potential for addiction and abuse due to its desirable effects, such as relaxation and euphoria 1. Opioid abuse is so prevalent that in 2014, an estimated 4.3 million Americans abused painkillers, such as Dilaudid 2. Long-term Dilaudid abuse can lead to tolerance, meaning that the user requires increasingly larger doses to get the effect they seek. Tolerance and attempts to overcome it may give rise to chronic patterns of hydromorphone abuse which will further contribute to the development of physical dependence and subsequent Dilaudid addiction. How long it takes to become physically dependent varies with each person, but it is nearly inevitable with any persistent Dilaudid use. When someone is physically dependent on an opioid like Dilaudid, they will experience withdrawal symptoms when they abruptly discontinue or reduce use. 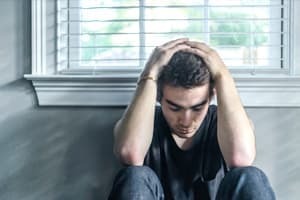 These withdrawal symptoms can be extremely unpleasant and distressing, which may lead the user to relapse in order to alleviate these symptoms. Relapse is the most common complication of Dilaudid detox, and one of the most dangerous. Withdrawal symptoms can occur any time prolonged use of Dilaudid is stopped or decreased. The length and severity of withdrawal symptoms will depend on several factors, including the person’s usual dose, mental health, and physical health. During drug detox, people with co-occurring mental health or medical issues may be at higher risk of experiencing withdrawal complications. Relapse is the most common complication of Dilaudid detox and one of the most dangerous 5. Dilaudid tolerance, built up after long-term Dilaudid abuse, decreases substantially during detoxification. A lowered tolerance increases the risk of a fatal drug overdose. Medically-assisted detox programs can safely manage the symptoms of withdrawal and help people avoid relapse. Dilaudid addiction is associated with similar withdrawal symptoms as other opioids, such as heroin and oxycodone. While not medically dangerous, detox symptoms can be highly unpleasant and cause intense discomfort. A medically-supervised detox program can help reduce discomfort and manage cravings. Untreated symptoms will gradually increase in severity before getting better. If you are experiencing withdrawal symptoms after using Dilaudid or are considering quitting use, we can help. Search through our directory to find detox and rehab options. The frequency of Dilaudid use. The presence of psychiatric conditions. The mode of administration (orally, intranasally, or intravenously). Although Dilaudid withdrawal symptoms manifest differently in each person, there is a general timeline associated with opioid withdrawal. Dilaudid withdrawal typically begins within 6-12 hours after the last dose, peaks within 1-3 days, and resolves within a period of 5-7 days 6. Opioid withdrawal is usually not life threatening, but complications can arise. It is possible (though rare) for severe vomiting and diarrhea to lead to dehydration or electrolyte imbalance. Clinicians treat these symptoms with oral fluids, like water and drinks containing electrolytes, but some people may require IV fluids 4. People with pre-existing cardiac conditions or other medical disorders may find their symptoms aggravated by withdrawal, due to a rapid pulse and elevations in blood pressure. People with anxiety disorders, particularly panic disorders, may see their symptoms intensify during detox. Similarly, people with pain conditions are likely to experience increased pain during detoxification 4. Inpatient centers carefully guide a patient through the detoxification process and help manage the initial withdrawal symptoms. Withdrawing from Dilaudid without the help of a hydromorphone detox program can be very difficult and the risk of relapse is high. Dilaudid abuse leads to drug tolerance, so at the point that someone attempts to quit, they often are regularly taking a high dose of the drug. After drug detox, tolerance significantly decreases. If a person takes the previously-used dose of Dilaudid after their tolerance has gone down, they may be more likely to experience a fatal opioid overdose due to pronounced respiratory depression. Clinicians advise seeking out medically-assisted detox rather than abruptly quitting Dilaudid independently 5. Medication helps people better navigate the acute withdrawal period by managing unpleasant symptoms and cravings that might otherwise drive them to a dangerous relapse. Detox is the first step toward recovery from drug abuse. You could attempt to go through withdrawal on your own, but a professional detox program will help you avoid needless suffering. Several medications, such as methadone and buprenorphine, can help facilitate the Dilaudid detox process 5. Hospital setting:Patients with a history of severe withdrawal symptoms or other medical conditions may be safer in a hospital setting where they can be fully supported. Inpatient detox program: Inpatient programs allow patients to live at the facility where they are constantly monitored by professionals. They may receive medically-assisted detox support. Outpatient detox program: Specialized detox programs are also available on an outpatient basis. These opioid detox programs allow you to live at home while going through withdrawal and they may dispense withdrawal medication, such as methadone and buprenorphine. Doctor’s office: Some people benefit from outpatient detox assistance from their primary care doctor, since many doctors are now approved to dispense buprenorphine. Are you considering a detox program? We can help. Our dedicated treatment advisors will help you understand the detox and treatment options that are appropriate for you. Drug Enforcement Administration. (2013). Hydromorphone. Center for Substance Abuse Treatment. (2006). Detoxification and substance abuse treatment: Treatment improvement Protocol (TIP) Series, No. 45, 66-75. Kampman, K., & Jarvis, M. (2015). American Society of Addiction Medicine (ASAM) National Practice Guideline for the Use of Medications in the Treatment of Addiction Involving Opioid Use. Journal of Addiction Medicine, 9(5), 358–367.